New York City (officially the City of New York), byname the Big Apple, city and port located at the mouth of the Hudson River, southeastern New York state, northeastern U.S. It is the largest and most influential American metropolis, encompassing Manhattan and Staten islands, the western sections of Long Island, and a small portion of the New York state mainland to the north of Manhattan. New York City is in reality a collection of many neighbourhoods scattered among the city’s five boroughs—Manhattan, Brooklyn, the Bronx, Queens, and Staten Island—each exhibiting its own lifestyle. 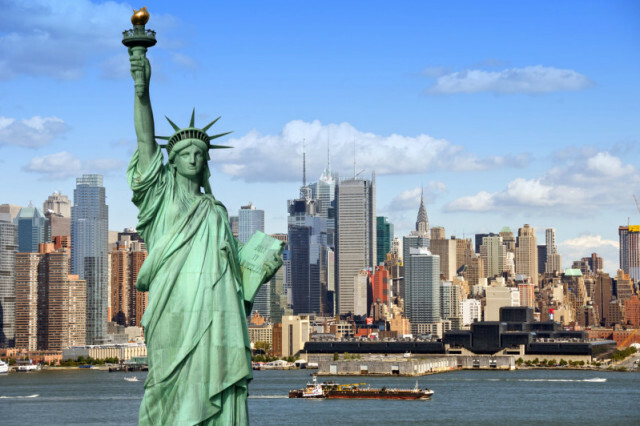 New York is the most populous and the most international city in the country. Its urban area extends into adjoining parts of New York, New Jersey, and Connecticut. View more photos on New York City. From site JenReviews.com you can read a list of beautiful places (to view) and activity (to do) in New York City. Beautiful images from New York City.